Previously, on MinerBumping... PwnySquad corp lost everything when its leader, koiso Phoenix, was duped by a "Pandemic Legion" feeder corp scam engineered by New Order Agents. TheInternet TweepsOnline TheInternet, PwnySquad's new director, accepted full responsibility for the debacle. But the past was past. Now koiso was focused on rebuilding the corp with a recruitment drive. Despite losing all of his assets in the PL feeder corp scam, koiso mysteriously had a lot of money and ships to throw around. TheInternet recruited two new members to the corp, Kleptain and Kurisa Ongrard. 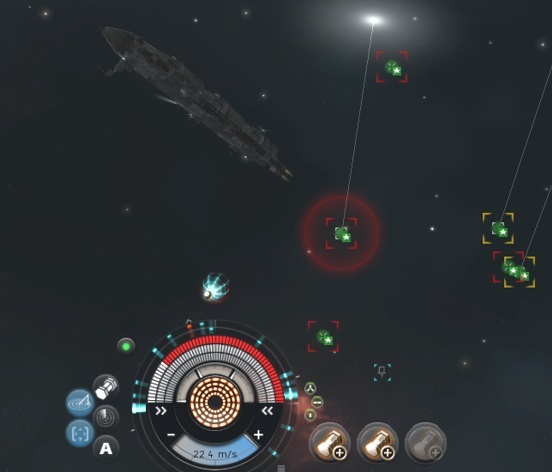 Because TheInternet vouched for them, koiso promptly gave the new recruits large amounts of isk and ships. Zach Shibbity-Pow > so a high sec corp? Zach Shibbity-Pow > Anything, I guess. Meanwhile, koiso created a new channel especially for officers of PwnySquad. Interviews of potential new recruits were also conducted in the channel. Having been burned in the past, koiso increased security. Anyone who wanted to join the corp was required to provide a full API and submit to a background check. ...However, the security policy didn't apply to TheInternet, who was grandfathered in. Nor did it apply to the recruits TheInternet vouched for, such as Kurisa Ongrard. In fact, Kurisa was immediately promoted and given the job of conducting all the security screenings. koiso Phoenix > ok you and indy miner? White Knight Alt > i can mine, haul, and do orca boosts. Word got out among TheInternet's friends that PwnySquad was giving away free Orcas to its new members--if they passed the interview and API check. Another friend of TheInternet's, White Knight Alt, effortlessly breezed through the interview. He was exactly what PwnySquad was looking for. Somehow, he knew all the right things to say. White Knight Alt > yeah no problem. send it to kurisa? Now all White Knight Alt needed to do was pass the API background check. Could he survive Kurisa's careful scrutiny? Yet another of TheInternet's friends, Zepher Maulerant, appeared. This time, the interview was even easier to pass. Back in the PwnySquad corp chat, koiso asked for an update. Kurisa was happy to report that all the recruits were clean. Everyone passed inspection. They all qualified for free Orcas. As Kurisa handled recruitment, TheInternet got to work transporting the new POS with his new freighter, both purchased courtesy of koiso's cash. At the first sight of a CODEdot bumping ship, koiso ordered TheInternet to dock up immediately. Highsec was simply too perilous to be traveled when the New Order was around. TheInternet couldn't resist attempting to brave the trade route, though. The corp needed to get its POS set up. Then TheInternet made a crucial mistake: He accepted a duel request from KrazyTaco, an Agent of the New Order. It seemed like a good idea at the time; the Agent had innocently offered to web the freighter. Now TheInternet was being pursued. TheInternet hoped he'd gotten away when he jumped into Uedama. To his great surprise, the New Order was camping that very system! Now the PwnySquad freighter and POS were in terrible danger. TheInternet pleaded for help in PwnySquad corp chat. The situation couldn't be more desperate. Would TheInternet survive long enough to get help from koiso? Would the corp's four new recruits be enough to rescue TheInternet from the CODEdot ambush? I DUNNO IF ID SAY "DRAGGING", YOU KNOW? ITS JUST ABOUT TO GET GOOD! I SAW THAT NEW GUY "WHITE KNIGHT ALT" AND HE'LL PROLLY TURN THINGS AROUND AND GIVE THOSE NEW ORDER SCUMBAGS THE BUSINESS! Like fine dining, the Supreme Protector lays the story out in separate courses so each morsel may be savored! Let's see if the "boring" Anon comes back and salts this story with more of its tears! "Everyone passed inspection. They all qualified for free Orcas." Apart from making me laugh so much I snorted my monocle into orbit - this sums it up for me. Pointing the finger at this CEO's stupidity shouldn't allow us to mask the tremendous job done by His Honour TheInternet TweepsOnline TheInternet, and friends. This story (not over yet!) illustrates the essence of New Order practice; a distillation of generosity, ambition, adroitness, companionship and benevolence. This is so much more fun than FozzieSov devblogs! Wasn't even backwards either. go figure! For someone who claims its boring you sure do comment a lot around here. Ahahahahahaaaahh! I knew you wouldn't be able to resist getting baited into this article.. But at least it seems like your keyboard knows how to stencil what you are into your forehead! The New Order, and today, I guess, your keyboard, wins! TheInternet TweepsOnline TheInternet > KRAZYTACO IS SHOOTUNG ME"
Shortly after this debacle, TheInternet TweepsOnline TheInternet received the 2015 New Eden Oscar Award for Best Actor. My prediction: The four new recruits will miraculously rescue TheInternet's freighter and subsequently gain the elusive trust of koiso Phoenix. All four will be revered as heroes. As a reward, they will be given director roles in PwnySquad. I can't wait to read part 6 to see if I am right! This is kinda dragging out. You killed 2 trillion worth of ships last month...surely there are epic tear mails and screen shots of local you can use for updates. The Saviour has a plan for everything. The massive amount of material that was duly collected shall be doled out in good time. You should stop worrying about the "destination" so much and start focusing on "where The New Order is right now." The Road to ending bot-aspirancy is as much a journey, as much as it is a lofty goal.